Dried cornflowers in wooden bowl. 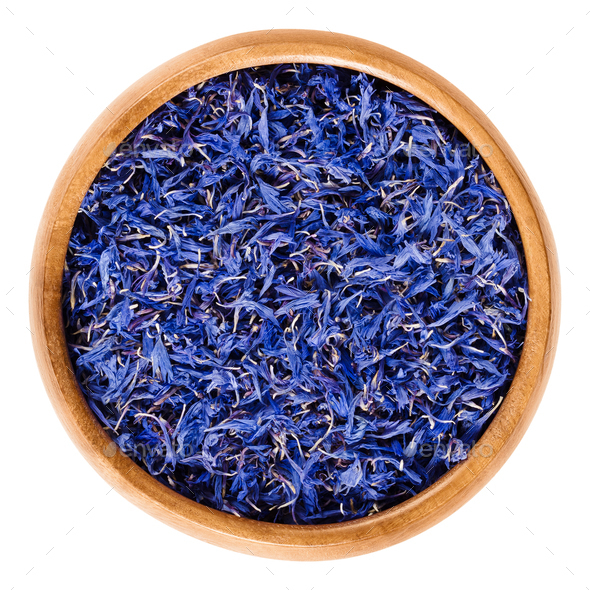 Edible flowers of Centaurea cyanus with intense blue pigment, used for tea and salad decorations. Isolated macro food photo close up from above on white background.